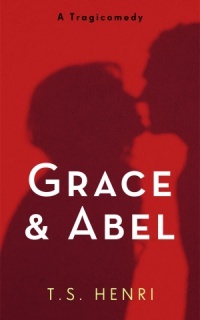 Grace and Abel is a Page Turner filled with dynamic characters and plot twists. A deranged and jealous husband employs a young woman to seduce and destroy his wife’s paramours. Abounds with hilarity and heartbreak. Grace is a bartender, lives alone in a cramped apartment in the big city, a young woman who gets hit on often and has dated her share of losers. She grew up in public housing, dropped out of high school, and ran around with a meth-addicted boyfriend who hurt her. After juvenile detention and women’s prison failed to reform her, she committed a felony for which she’s not been busted. She swears it’s her last crime. Early thirties, she needs to pull it together, find an ordinary guy with a decent job and a sense of humor. Then the husband of a billionaire walks into her bar. He offers her an outrageous sum to work a gala, a cancer fundraiser, at his mansion. She takes the gig for the cash, but assumes this peculiar man has ulterior motives. She’s right. His crazy proposition blows her mind and changes her life forever. Abel, called Abe, splits time between home, the cemetery, and the hospital where his eight-year-old daughter, Annabel, lost her fight with cancer. Abe grew up dirt poor raised by cruel grandparents after Mom hung herself in the barn and Dad ran off. Abe overcame his rough start in life with stones and brains to become a hotshot attorney with a beautiful young wife and a cherished daughter. Scarred by his youth, Abe couldn’t selflessly love anyone until his child was born. He became a terrific father. When his wife, Annabel’s mother, abandoned them Abe and Annabel became all each other had in the world. Then Annabel was diagnosed with leukemia, underwent treatment, entered remission, relapsed, and died a few months before her ninth birthday. Abe fell apart. He quit his job, began boozing heavily, and in his huge dark empty house contemplated suicide. Abe’s deep depression is dragging him toward madness when Grace enters his life. It is not chance or fate that brings them together. And Grace hasn’t come bearing goodwill. The immediate chemistry between them complicates matters significantly. The story is a tragicomedy played out by memorable characters. The uproarious events are contrasted with underlying tragedies and sealed with an unpredictable ending. T.S. Henri's primary loves are family and the family pooch, boating on Minnesota lakes, hiking Colorado mountains, and meandering along the streets of Dublin, Paris, and Copenhagen. Favorite pastimes in no real order: books, travel, bicycling, baseball, fishing, breaking bread and sharing wine with the crew, and making up stories.